Its focus is on spiritual matters as well as the physical because it deals with a game its adherents believe is just about as old as time. A new documentary, Spirit Game: Pride of a Nation, dives deep into the Iroquois’ “medicine game,” as it’s known to them, and into how politics and culture collide at the World Indoor Lacrosse Championship, far removed from the Exeters and Deerfield Academies of the westernized world. The story centers on Iroqouis coach Chief Oren Lyons and his efforts to promote the team and the sports’ indigenous history. When the World Indoor Lacrosse Championships were hosted by the Onondaga Nation in 2015 it was a big deal. Former U.S. Vice President Al Gore even attended, and rooted for the Iroquois Nationals over Team USA. 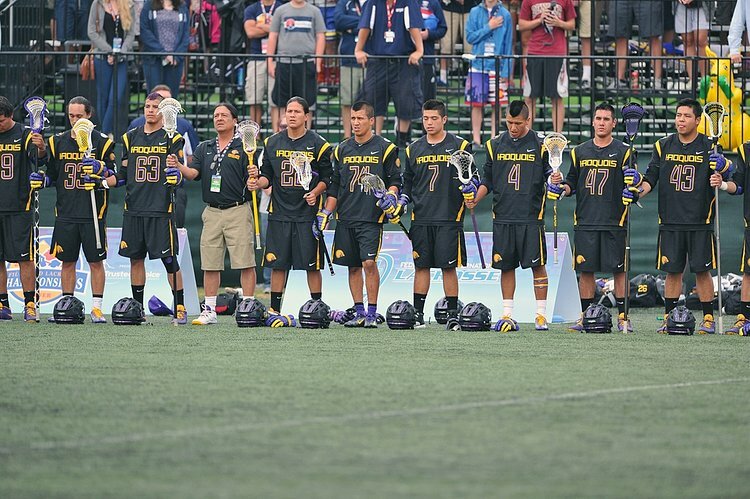 Never before had an Indigenous Nation hosted a championship of that caliber, putting not only the Indigenous history of lacrosse and the prowess of the Iroquois Nationals on the world stage, but the very sovereignty of the people. This story is told in the new documentary “Spirit Game: Pride of a Nation,” which premieres May 24 in Hollywood and June 3 in Syracuse, NY. 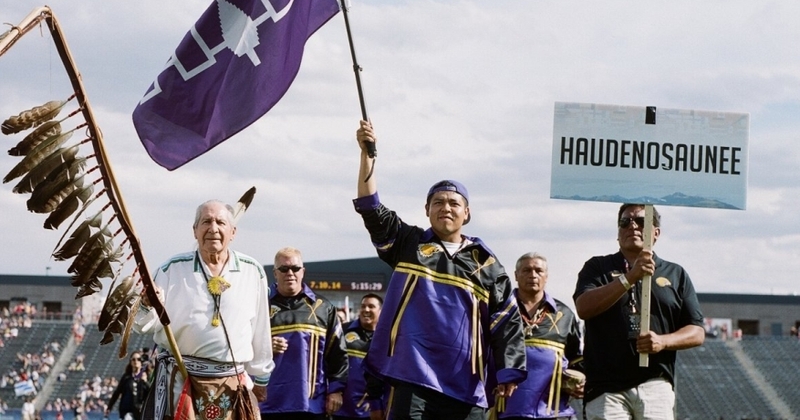 The film showing, at 2 pm Saturday June 3 at the Palace Theater, is free and open to all citizens of the six Haudenosaunee nations on a first-come, first-serve basis as well as invited guests. A second showing will immediately follow the first to accommodate those unable to be seated for the first showing. Director Peter Spirer and Executive Producers Gayle Kelley and Oren Lyons will be in attendance with other VIPs. Spirit Game: Pride of a Nation not only features thrilling non-fiction sports drama, including the dynamic action of the legendary Thompson Brothers, but offers a primer on the long, rich tradition of the sport. Excitement for the film is building: an exclusive clip posted on Yahoo! Movies received 19 million hits. The film will be shown in select theaters across the country including the film’s Public Opening at the Palace Theater in Syracuse at 7 PM on June 24. The movie will be available on Amazon and on iTunes on June 20. Responses to "A new documentary brings lacrosse back to its original owners: the Iroquois "